Week 6 of the college football season gets underway this Thursday night on ESPN with an AAC matchup between the Tulsa Golden Hurricane and the Houston Cougars. Week 6 of the college football season gets underway this Thursday night on ESPN with an AAC matchup between the Tulsa Golden Hurricane and the Houston Cougars. Game time from Houston is set for 8 p.m.
Tulsa went into last week’s bye with 1-3 record in its first four games both straight-up and against the spread. It gave Texas a battle in a tight 28-21 loss as a heavy 22.5-point road underdog, but it came up short two weeks ago in a 31-17 loss to Temple as a 6.5-point underdog on the road in its AAC opener. The total has stayed UNDER BetAnySports’ closing line in the Golden Hurricane’s last three games. 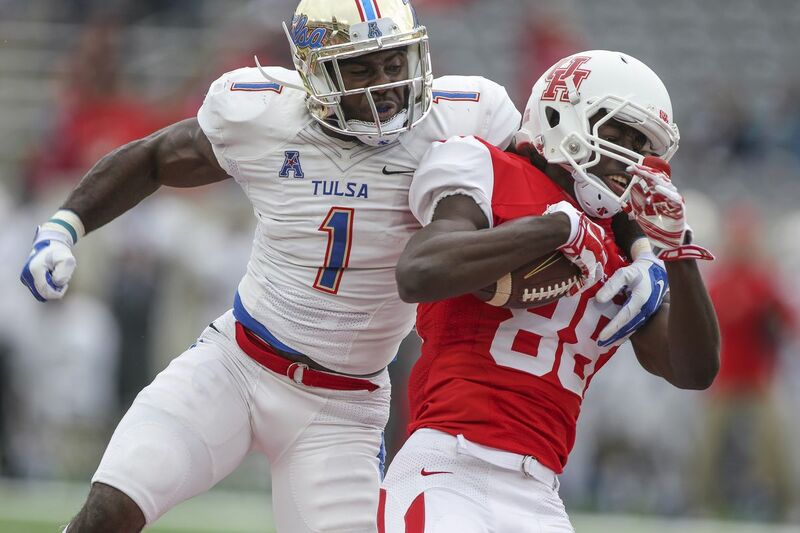 Behind sophomore running back Shamari Brooks, Tulsa has been able to average 208.8 yards a game on the ground. The offense has been less effective through the air with quarterback Luke Skipper throwing for 716 total yards and four touchdowns this season. The net result has been an average of 24 points per game on offense with the defense giving up an average of 28.8 points per game. The Cougars were also on a bye last week following a productive 3-1 start SU while going 2-2 ATS. They failed to cover as slight one-point favorites in a 63-49 loss to Texas Tech on the road, but they bounced back by covering a huge 55.5-point line against Texas Southern in a lopsided 70-14 romp at home on Sept. 22. The total easily went OVER BetAnySports’ closing line in each of those games. It has now gone OVER in three of Houston’s first four games this season. It is easy to see why a bet on the OVER has paid off most of the time with a Cougars’ offense that is averaging 52.3 PPG. This bet has also been aided by a defense that is giving up 30.5 PPG on the other side of the ball. Quarterback D’Eriq King has thrown for 1,197 yards and 15 touchdowns so far and Patrick Carr has led a rushing attack that is churning out 253 yards per game. Tulsa should be able to exceed its scoring average in this game, but it does not have the firepower to keep pace with Houston on Thursday night. Take the Cougars covering the 17-point spread at home.